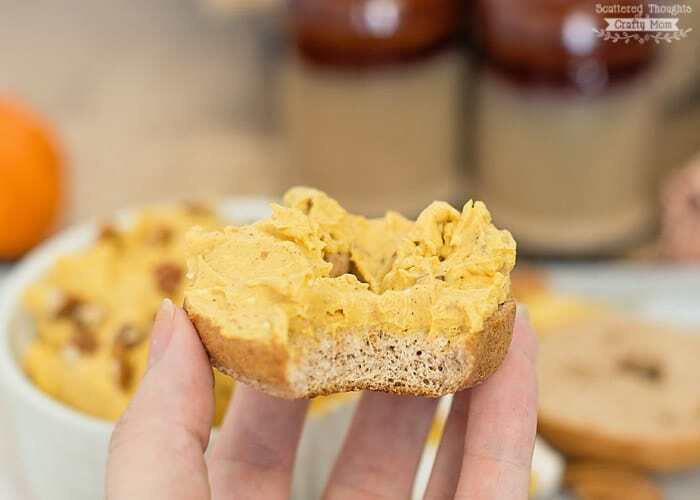 This easy to make, Whipped Pumpkin Cream Cheese Recipe has all the flavors of fall and is the perfect topping for bagels, waffles and so much more! 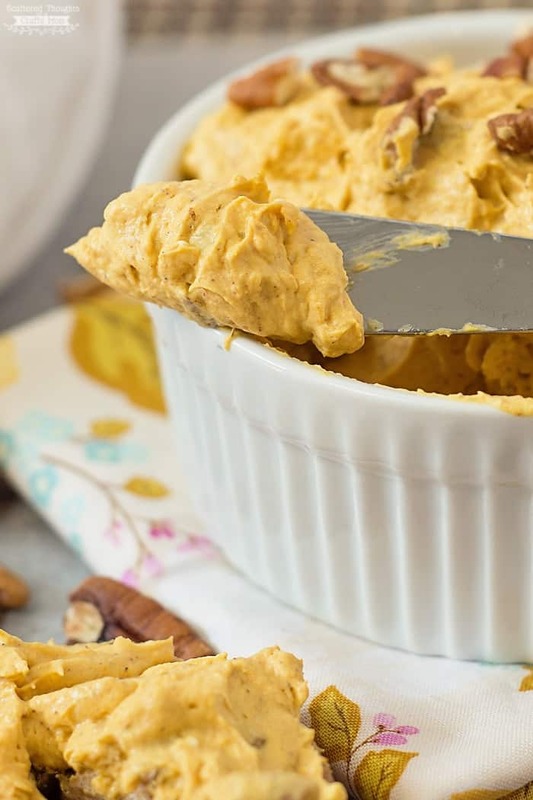 Fall is officially here (even though, depending on where you live, the weather might not seem like it) and as we all know in the food world, fall is synonymous with one food – pumpkin! For me? The day after Labor Day officially marks the start of the fall season and everything becomes pumpkinized in our house- pumpkin spice, pumpkin pie, pumpkin lattes and yes, pumpkin cream cheese! 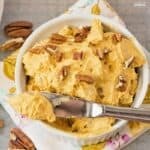 I was looking for some easy ways to add that fall flavor to my food and came up with this easy, versatile whipped pumpkin cream cheese. There are only six ingredients (and you probably already have many of them in your fridge), and it takes just minutes to make – no cooking required – and leftovers can keep for several days. 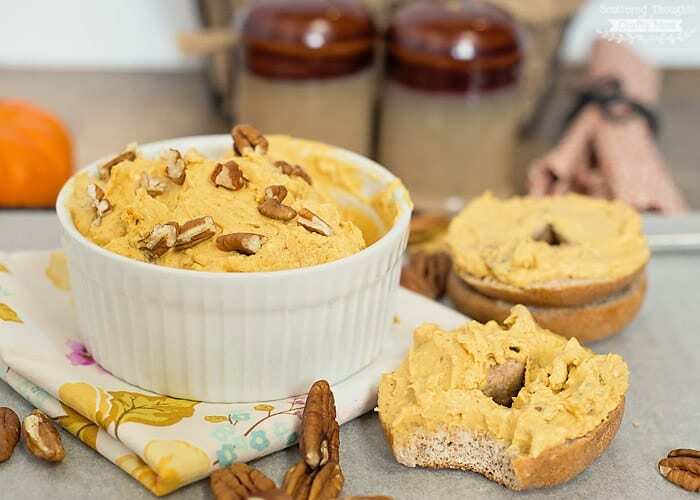 The pumpkin cream cheese definitely adds yummy flavor to a boring breakfast. My kids LOVED this on bagels – it’s probably one of the breakfasts they’ve been most excited about lately. I’ll be making it again soon for a big waffle breakfast – I know it’ll be great on waffles. Though, let’s be honest – I pretty much just eat it right off the spoon, lol. 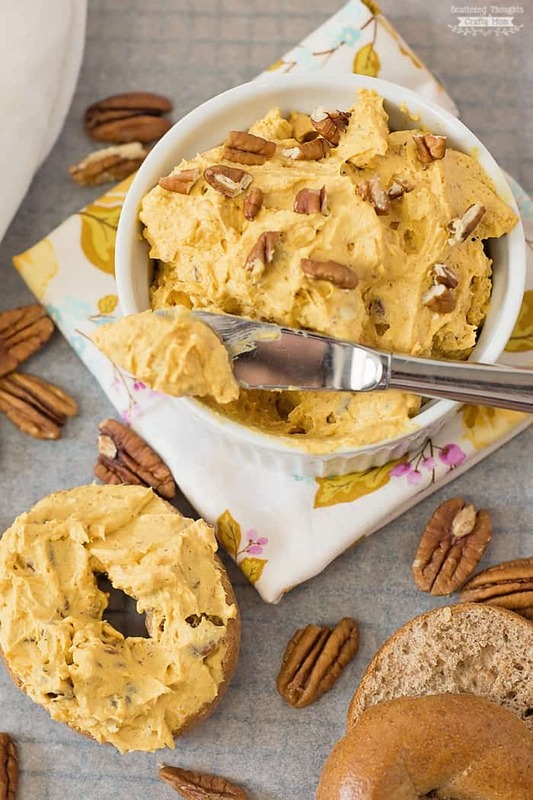 This Whipped Pumpkin Cream Cheese Recipe has all the flavors of fall and is the perfect topping for bagels, waffles and so much more! Add pumpkin and pecans and continue whipping until mixed through. 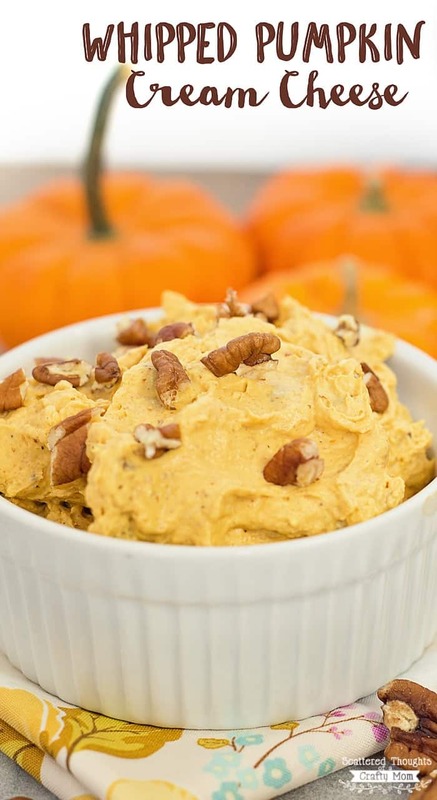 Place pumpkin cream cheese in fridge until chilled. Serve on your favorite bagel or toast. Oooh, this looks delicious! I love pumpkin. Glad I found your blog on the Project Inspired hop. Yummy!! Thank you for sharing the recipe! The cream looks so great!